Fitting baffles involves removing and replacing the ends of the concertina a number of times, and hence a lot of unscrewing and screwing the end-bolts. An improperly-fitting screwdriver will twist or slip, marring the slots in the end-bolts, and it is very easy for the screwdriver to slip from the slot, scratching the concertina or worse. It's worth taking precautions to avoid this, since the end-bolts are not easily replaceable. The solution is a tip that Steve Dickinson gave me; I've since heard that he's taught it to many other people. It is to fit a piece of transparent plastic tubing over the blade of the screwdriver, so that the tubing goes around the head of the end-bolt. This holds the screwdriver blade accurately centered in the slot in the end-bolt, so that only a normal level of care and attention is required. Many different screwdrivers and bits of tubing will work, but here's my particular recipe. First, the screwdriver. 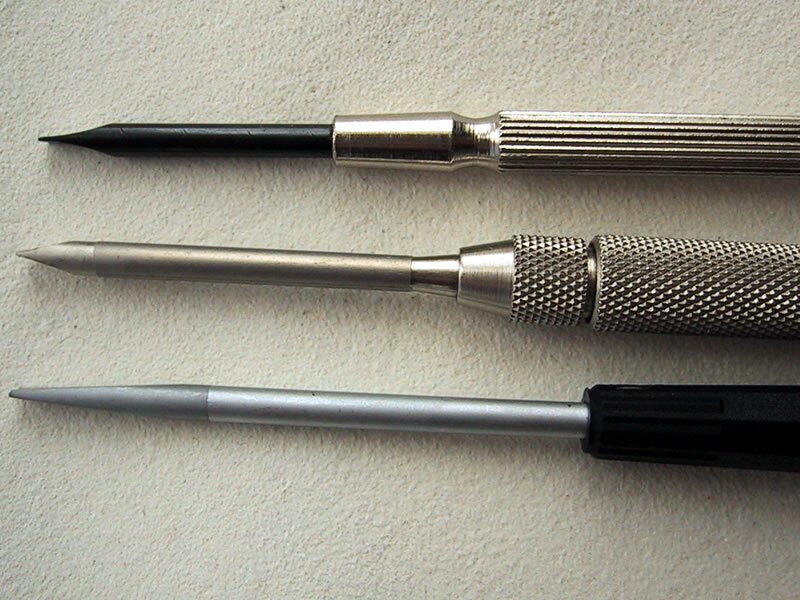 One wants a short and small screwdriver, so as not to have too much strength on the end-bolts (finger-tip pressure is adequate), and one wants a screwdriver that fits the end-bolts just exactly. The heads of Wheatstone and Lachenal end-bolts appear to be generally either 5/32" (4mm) or 3/16" (4.75mm). 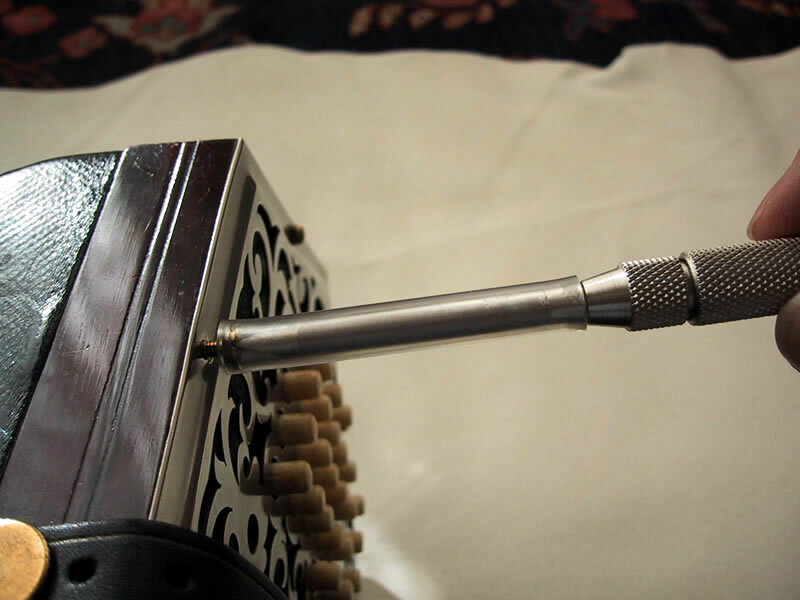 Each concertina can have its own matched screwdriver, but in practise a single screwdriver is convenient. I have experimented with both 4mm and 3/16" screwdrivers, and the 4mm seems to be the better size; the 4mm blade is large enough for all bolts, and the smaller tubing holds all the bolts securely. The plastic tubing is chosen to fit snugly over the blade of the screwdriver and all the way up the shaft to the handle, so that a tube of plastic encases the entire shaft and blade and protrudes a bit beyond the tip (about 2mm beyond). Tubing made to either 4mm or 5/32" (3.96875mm) inner-diameter will fit properly. 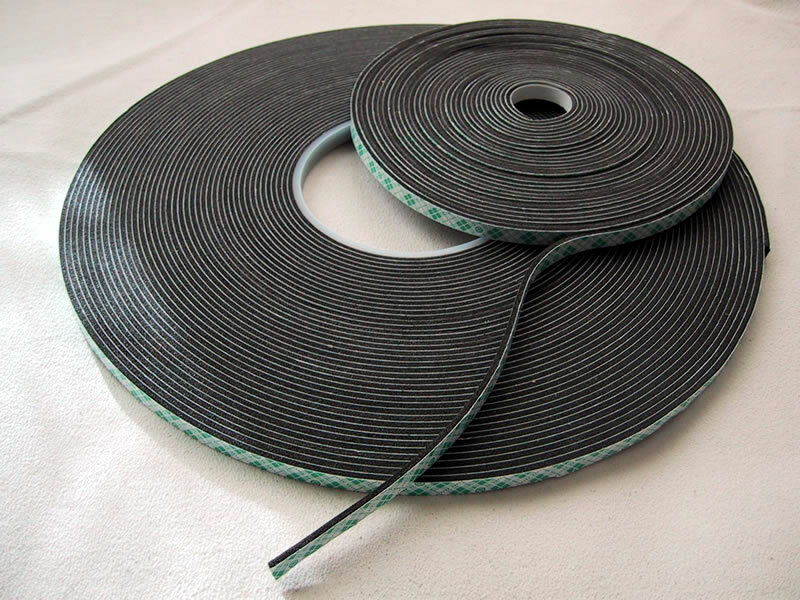 Tubing comes with a variety of thicknesses of walls, and in a variety of materials which are stronger or weaker, stretchy or rigid, soft or hard, and so forth. Tubing of 4mm inner diameter generally comes with walls 1mm thick, giving an outer diameter of 6mm. Tubing of 5/32" generally comes with walls 2/32" thick, outer diameter 9/32" (7.14375mm). Either is usable, but the thicker tubing is stronger. The tubing should be flexible, and fairly stretchy. In use the end of the tubing is stretched over the bolt heads and contacted by the screwdriver blade, so in time it will fray and tear--hence, the stronger the better. 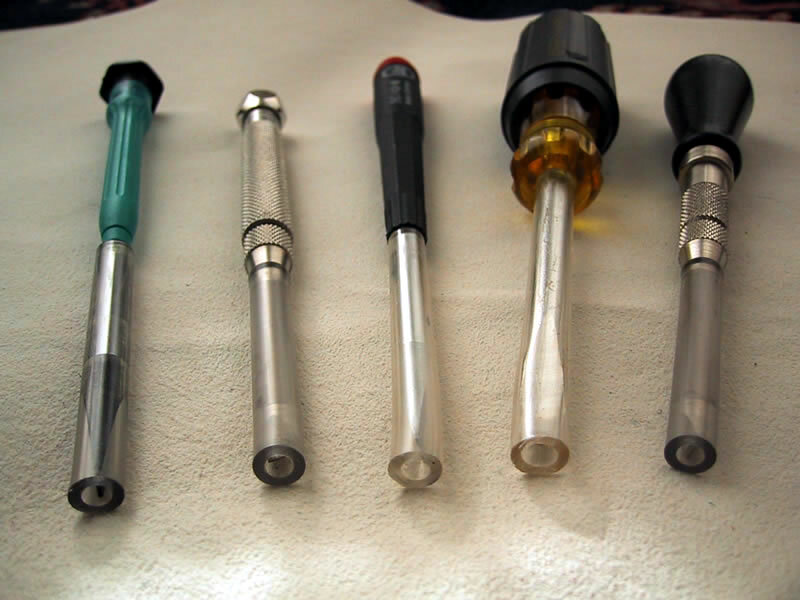 The inner diameter of tubing can vary slightly; if necessary, a wrapping of transparent tape can be put around the screwdriver blade so that the tubing will not slip or twist. There is no need to use any adhesive to secure the tubing. The best screwdriver I have found is made by the L. S. Starrett Company, of Athol, Massachusetts, a maker of precision tools founded in 1880; the Starrett screwdriver is available on the web from Micro-Tools and Micro-Tools Europe, see Suppliers). They make two models of what they call their "Pocket Screwdriver" because the blade (before it has its tubing added) can be reversed and telescoped into the handle for safe carrying in a pocket. 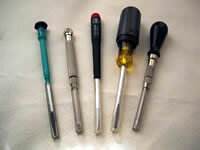 These are nicer than most small screwdrivers, appropriate for special work. Each model is made in two sizes (A and B), and the larger B size is just exactly the right size to fit concertina endbolts. Model #553B is all metal, with a hexagonal head (not rotating, but rounded for easy turning against the palm); blade length is 3 inches, over-all length 5 5/8 inches (USD 7.65, GBP 5.40, EUR 8.70). Model #559B is essentially the same but with a smooth and comfortable wooden handle, which makes it a bit lighter and larger; blade length is 3 inches, over-all length 6 inches (USD 12.85, GBP 9.00, EUR 14.60). Both #553B and #559B use the same replaceable blade, #PT2351B (USD 1.85, GBP 1.30, EUR 2.10). This blade has a nominal width of 0.15 inches (3.81mm) but it appears to run just a hair larger, more like 0.1525 inches (3.87mm), so it is very close to the 4mm size of the bolts. More importantly, the shape of the point of the Starrett blade is different from that of other small screwdrivers. 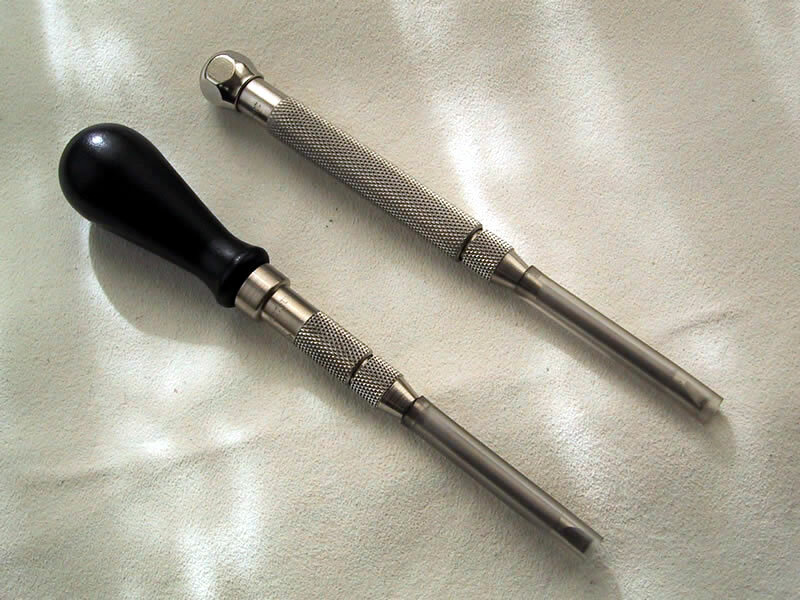 The "jeweler's screwdriver" generally used on concertina end-bolts is all-metal and four or five inches long; but the blade of a typical jeweler's screwdriver is too thin, so that it twists in the slot and marks the bolt head, and very easily skids out of the end of the slot at certain angles. 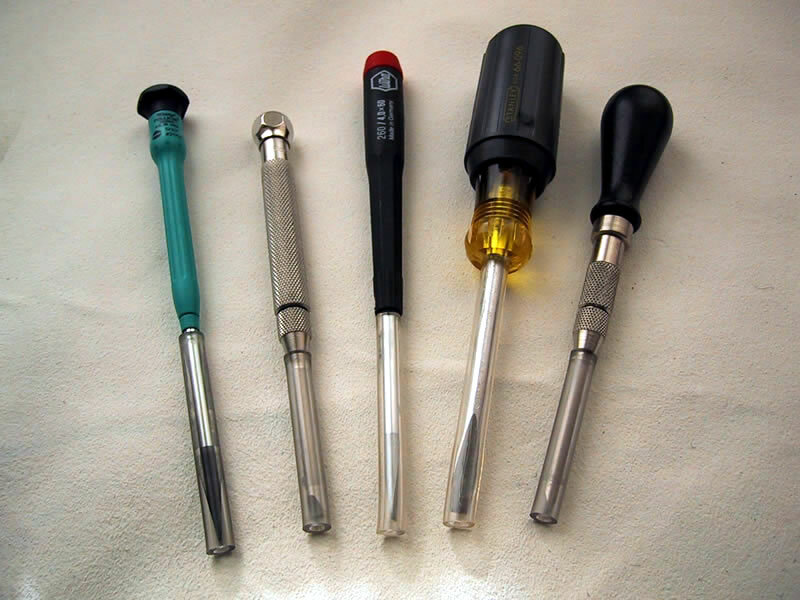 A better choice would be the sort of screwdriver made for electronics work (such as a Wiha #26040, or a Moody #2005), which is about the same size, and also has a smooth cylindrical shaft with no flare at the flattened blade, but which has a thicker blade. Indeed, the blade on electronics screwdrivers is just a little TOO thick to fit into the slot of an end-bolt--but that's a problem easily solved in about five minutes with a fine file. 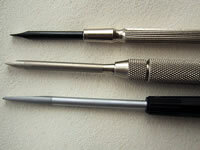 These screwdrivers can be used, and I have used both kinds, but they lack the ideal point shape of the Starrett blade. The blade of a screwdriver should fit fully and squarely into the slot of a bolt, filling the slot from the top and stopping just a hair before bottoming-out. If the blade bottoms out, so that its leading edge reaches the bottom of the slot first, holding off the wide sides of the blade so that they lack friction against the sides of the slot, the tendency to skid out from the end of the slot will be pronounced . A jeweler's screwdriver has a short point at the end of a cylindrical shaft, but the point is shaped so that the tip of the blade remains very narrow for several millimeters--too narrow to fill the slot. An electronics screwdriver has a very long tapered point at the end of a cylindrical shaft, with the tip just a bit too wide for an end-bolt--so it must be filed very carefully, because if it is narrowed uniformly up the point it also becomes too narrow to fill the slot. But the Starrett Pocket Screwdrive blade has a short point which widens rapidly; the tip is narrow enough to fit in an end-bolt slot, but the point widens rapidly enough that the sides of the blade fill the slot securely before the tip bottoms out. When viewed under high magnification in actual end-bolt slots, it looks as though it were designed for this task. The tubing I used to fit the Starrett screwdriver is McMaster-Carr part number 5006K17, "High-Strength PVC Tubing, 5/32" ID, 9/32" OD, 1/16" Wall". This is sold in units of five feet, at a price of USD 0.33 per foot (GBP 0.23, EUR 0.38). A length of ten feet would cut up into more than 60 pieces each 50mm long (protruding about 2mm beyond the tip of the blade on the Starrett screwdriver), which should be a good supply for one screwdriver. I cut both ends squarely and smoothly (this can be done with a knife, or with a small cutter manufactured for the purpose, McMaster-Carr part number 8288A51, USD 6.03, GBP 4.25, EUR 6.85.). Then I pushed the tubing over the screwdriver blade until it seated against the knurled nut, leaving 2mm proud of the screwdriver blade tip. The blade enlarges just a bit where it enters the nut, so it holds the tubing just firmly enough, and a wrapping of transparent tape (around the blade, inside the tubing) can be added to prevent slipping. This may seem like a lot of effort for a screwdriver, but anyone who has used the tubing trick will testify that it very nearly solves entirely the problem of slipping. At a minimum, any screwdriver that you are using now can be significantly improved by just buying a few inches of 4mm plastic tubing and putting it over the blade. You will still need screwdrivers without the tubing too, of course, for tasks other than endbolts--this makes a special screwdriver just for concertina endbolts. Without this tip from Steve Dickinson, I would surely have done some damage to my concertinas--with it, I didn't slip off once. 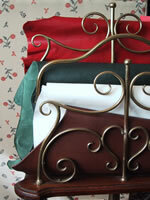 As described above, there is one obvious supplier for the leather needed: J. Hewit & Sons. It's hard to describe just how much nicer their leather is than any alternative I could find. Hewit does a substantial worldwide business with discerning clients, sells single skins, has very reasonable pricing, has a comprehensive website, is extremely easy to deal with, responds promptly and intelligently to email, and ships by post or by UPS to anywhere in the world with quick delivery. There really is no reason to buy any other leather for baffles; this is exactly the right thing. They have more than one kind of goatskin, but the one of interest is Chieftain Goatskin. Chieftain goat is made from East Indian goatskin, re-tanned in Edinburgh. These skins are shaved to a thickness of 0.9-1.0mm (2 1/2 oz). 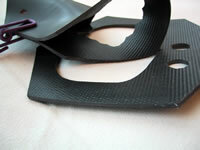 Each skin has a flat cutting area of about 65cm x 55cm (25.5 inches x 21 inches). It is vegetable-tanned and aniline dyed, and polished to highlight the natural grain. The surface has no pigment. Chieftain goat is dyed in traditional colors, suitable for concertina-making. Each individual skin is graded, into grades I, II, or III, with different pricing. The grades measure how perfectly each skin turned out when treated in the same way (they are NOT different kinds of leather or different processes). Basically, grade II is the standard quality skin--the great bulk of the production turns out to be grade II. Grade II skins have some minor defects (usually an inch or less in diameter) which can be made to fall in the waste between concertina baffles. A small percentage of skins happen to be free of such marks over larger areas, and these are grade I; there is no need at all to buy grade I for concertina baffles. (Grade I may not be available anyway, and it really should be reserved for binding large books where it is needed.) 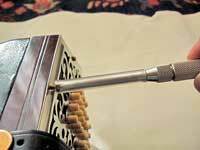 Grade III skins have fewer and smaller unmarked areas, but would be completely satisfactory for concertina baffles (I have used both grade II and grade III skins for my own baffles, and they are equally good for this purpose). It is always worth asking for grade III skins because they cost as little as half as much as grade II, but there aren't many of them--the aim is to produce all grade II or better. In the processing, the grain of the goatskin can be more or less pronounced, and this is not entirely controllable. For concertinas, the skins with "pronounced" grain are good, so that the grain is visible through the small open areas of fretwork, and Hewit will, on request, hand-select a "pronounced-grain" skin from those available in any grade. But this is a very minor refinement, and any skin will make beautiful baffles. Prices at 04 January 2002: Grade II: 97.74 GBP/M2 (pounds sterling per square meter). The average skin (the unit of sale) is 0.46--0.65 sq meters (5.0--7.0 sq feet), so the price of a grade II skin would be between GBP 44.96 and GBP 63.53 depending on size. Grade III: 48.61 GBP/M2. So the price of a grade III skin would be between GBP 22.36 and GBP 31.60 depending on size. NOTE: these prices do not include shipping, and do not include VAT at 17.5% which will be charged on sales to the UK or the EU (not on sales exported to the US). For very light creamy-white leather (literally the color of fresh cream), what is wanted is Hewit's Alum Tawed Goat. 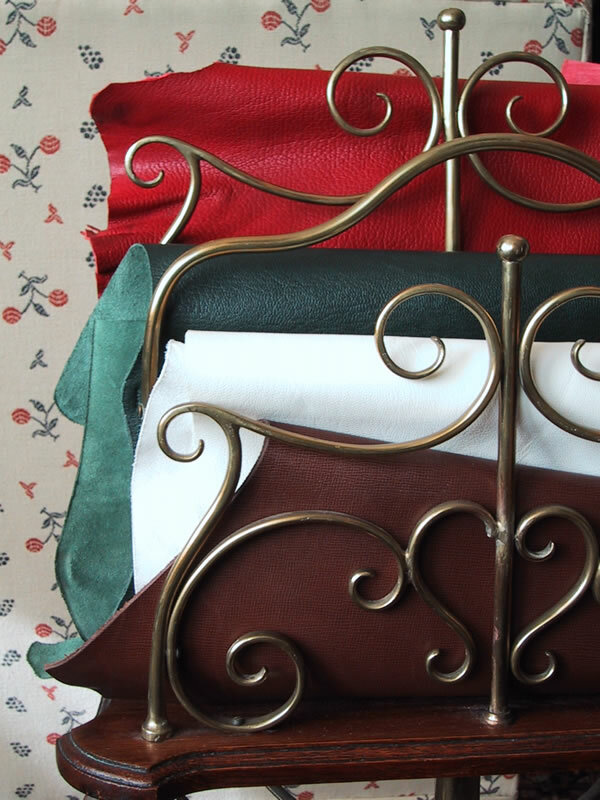 "Alum Tawed Leathers are known for their archival qualities, phenomenal strength and longevity. We produce the Alum Tawed Goat in two shades, white and cream. The average size per skin is normally between 0.63-0.74 square meters (6.75-8 square feet), although both larger and smaller skins are occasionally available. They are supplied to substance of 0.9mm. These skins will yield a cut approximately 75 x 60cm. Available in grades I and II." (From the Hewit website.) The "cream" shade is more appropriate than the "white" for baffles, I judge, and it looks great with rosewood or ebony ends. 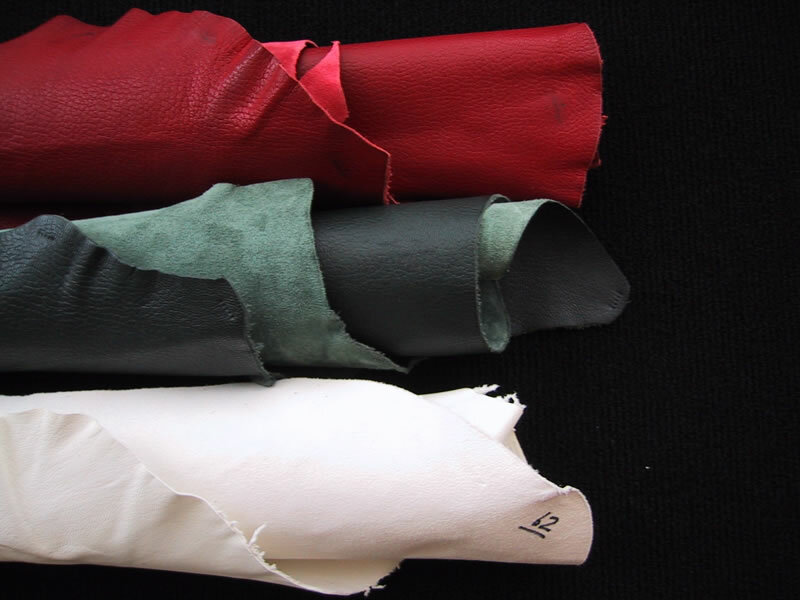 Although this leather looks like the white leather used for valves, it is not the same--it is stiffer, with very much the same properties as the Chieftain Goat. Prices at 04 January 2002: 113.33 GBP/M2 (pounds sterling per square meter). Since the average skin is a bit larger than Chieftain Goat, the price of a grade II skin would be between GBP 71.40 and GBP 83.86 depending on size. NOTE: these prices do not include shipping, and do not include VAT at 17.5% which will be charged on sales to the UK or the EU (not on sales exported to the US). "Full Leather Pack [Samples] Our Full Leather Pack includes the following: Sundries Price List, 'Types of Leather' fact sheet, Standard Leather Pattern Card, Clansman Pattern, Bookcalf Pattern Card, Chieftain Goat Pattern Card, Repair Calf Pattern Card, Repair Chieftain Pattern Card, and Smooth Goat Pattern Card. Also included will be a voucher(s) to the value of GBP 10.00, redeemable on your next order. Price: GBP 10.00." So to summarize, the correct kind of leather to order is Hewit's "Chieftain Goat" for colors, or "Alum Tawed Goat" for creamy white, in grade II (or grade III if available), with pronounced grain. A single skin will make at least two pairs and up to four pairs of baffles, and will cost around GBP 55 (USD 80, EUR 90) for Chieftain Goat and around GBP 75 (USD 110, EUR 125) for Alum Tawed Goat. 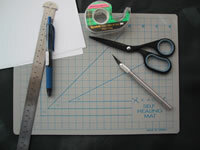 This tape comes in many sizes and lengths; I bought 1/4" wide, 36 yards, USD 22.35 per roll. 3M does not deal directly with customers, but sells through distributors. Fortunately one of their web-based distributors is just superlative: McMaster-Carr. These folks stock about 350,000 industrial products, all extremely easy to find through their excellent web catalogue, and they have outstanding web ordering software and customer service. They ship promptly, and accurately, and accept credit cards. The McMaster-Carr part number for this particular 3M tape is 76545A21. This is a GREAT web site; easy to navigate, easy to build an order, easy to buy, very easy to track orders, accept credit cards, ship UPS, extremely reliable, a great supplier. These folks have done a particularly good job of making their 350,000-item catalogue easy to consult over the web, and their software for building and placing an order is the best I've seen. Their shipping accuracy is phenomenal (I've ordered hundreds of complex items, with never one error or omission), and their shipping speed is equally amazing (I complete an order on their website by 6:00 PM, and it arrives by standard shipping before 9:00 AM the next morning). Warning: having a resource like this for tools and materials can lead to significant expense. From the site: "McMaster-Carr has extensive experience receiving orders and shipping directly to customers all over the world. We can ship most items the same day that you place an order, via fax, telephone, e-mail, postal service or at our secure web site. Typically, DHL and other couriers can clear the goods through customs and deliver to your door in 3 days." 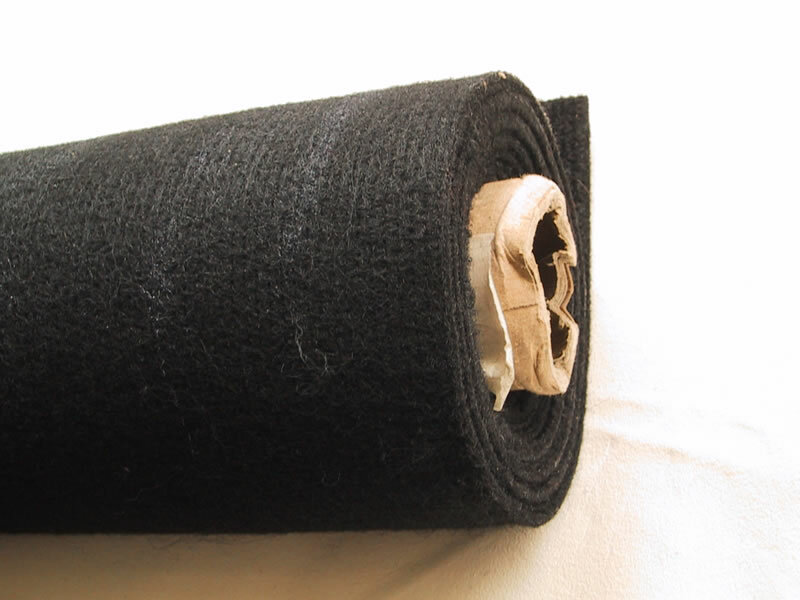 So the best double-sided tape for standoffs that I could find is 3M type 4416, "closed-cell PVC foam with acrylic adhesive," color black, thickness 1/16" (62.5 mils), size 1/4" wide x 36 yards long, McMaster-Carr part number 76545A21, cost at 04 January 2002 USD 22.35 per single roll (GBP 15, EUR 24). The market in acoustical fabrics is anything but transparent, with secretive manufacturers dealing through long chains of distributors and dealers with arcane restrictions and exclusivities. The internet has made little progress, so there may be many good materials that I don't know about. The best fabric that I found is manufactured by JM Lynne Co., Ronkonkoma, New York, a unit of the giant Steelcase contract furnishings group. They are just barely on the web with a brochure located at www.jmlynne.com. They only want to sell through traditional channels, so the problem reduces to finding a good retailer of their fabric on the web. These people are not accomplished in web transactions--there is no way to order online. So it is necessary to send in an email inquiry and then order by email. On the other hand, once this inconvenience is past, they do accept credit cards, they do ship by UPS, and they have shipped to me both in the US and the UK so they have no problem with international orders. I experimented with several suppliers, and these are the most responsive and most reliable. On their website, the product is called "Silence" and is presented primarily as a wallcovering. There is an online color chart of the 24 colors; I have tried #9620 Black and #9601 Ivory, and either is fine--the color makes no difference, since it will be backed either with leather or with a grille-cloth fabric. They are very willing to sell a single yard (36" x 54") at a cost (as of 04 January 2002) of USD 22.50 (GBP 15.85, EUR 25.60) plus shipping. A whole industry has arisen in sound level meters, apparently the creature of industrial health and environmental laws which set standards for noise exposure, compliance with which must be measured and documented regularly. The meters used for this purpose meet a lot of legal requirements and are good for expert witnesses, but they are by and large too expensive--around USD 600 or more, which was much more than I wanted to pay. 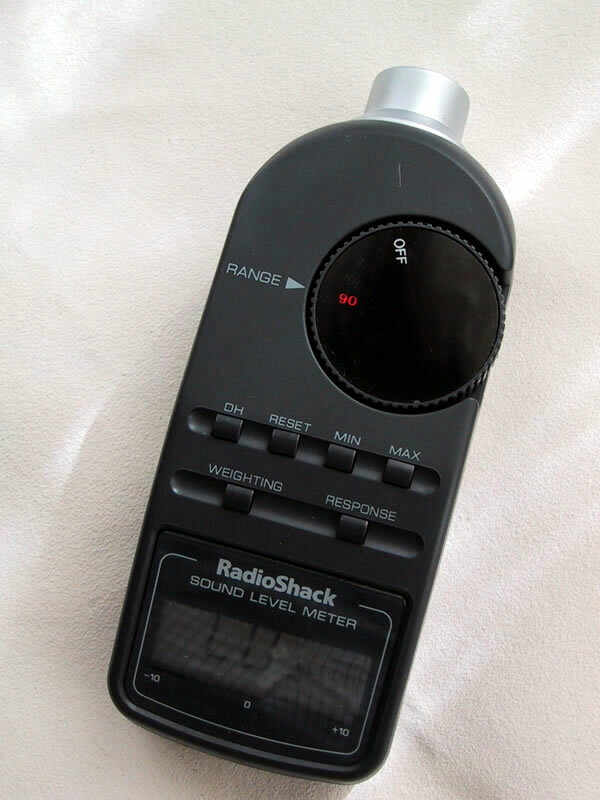 RadioShack (a US company which has in the past had international stores under the name "Tandy RadioShack" but which has now retreated to the US) has for many years sold an inexpensive sound level meter, originally analog but now digital. These meters have been used by audiophiles for all kinds of measurements, often in conjunction with tapes or CDs which have pre-recorded tones. The traffic on Google's "Groups" newsgroup archive contains lots of good things about this unit, about the consistency of measurements from a single meter and among multiple examples of the type. This has apparently led to its being the "standard" for low-end amateur audiophile measuring, since the results can be compared to measurements made by others. Provides precise readings when you fine tune audio response of a stereo, PA or home theater system in combination with an equalizer. Reads 50 to 126dB SPL, and has "A" or "C" weightings. Carry case. Requires 9V battery. This unit is about the size of a large eyeglasses case, and it will handle the full range of sound levels made by concertinas. The complete instruction book is reproduced on the web. The web information was checked on 04 January 2002. For people in the US, it can be ordered directly from the website, or by telephone to RadioShack's 800 number, and it is stocked by most of the stores (because it is a big seller, according to the clerk who sold me my units); the nearest store can be found through a directly on the website. With over 7,000 stores in the US, RadioShack estimates that 94% of all Americans live or work within five minutes of a RadioShack store or dealer. Unfortunately, RadioShack has been going through a process of closing all its international stores and websites, intending to license the name to others outside the US. As part of this change, they will ship from their US website only to US addresses. The standard response to this sort of problem is to find an address in the US to receive the package and re-ship it. The best screwdriver that I found for concertina end-bolts (see above for details) is from the L.S. Starrett Company, on the web at www.starrett.com. Starrett has its entire catalog on the web with substantial technical information, and will accept direct orders of less than USD 50.00, but does not post prices and is not really in the business of direct sales. 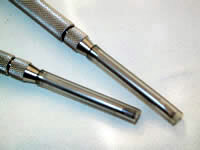 A Starrett web distributor (which also carries many other useful tools) is Micro-Tools, at www.micro-tools.com. This group has a US site, in California, and a European site, in Germany (same web address, then select the European store). Both locations carry the #553B, #559B, and #PT2351B items, and Micro-Tool uses the Starrett part numbers. I have ordered Starrett #553B and #559B screwdrivers from both the California and European locations, with prompt and accurate attention to web orders. 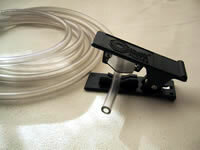 They accept credit cards, ship immediately, and offer a choice of shipping methods. First choice is model #553B, "Pocket Screwdriver", all metal with a hexagonal head, blade length is 3 inches, over-all length 5 5/8 inches, USD 7.65, GBP 5.40, EUR 8.70. A very similar screwdriver with a wooden handle is model #559B, "Pocket Screwdriver with Wooden Handle", blade length 3 inches, over-all length 6 inches, USD 12.85, GBP 9.00, EUR 14.60. Both #553B and #559B use the same replaceable blade, #PT2351B (USD 1.85, GBP 1.30, EUR 2.10). Prices current at Micro-Tool as of 04 January 2002. The tubing I used to fit the Starrett screwdriver is McMaster-Carr part number 5006K17, "High-Strength PVC Tubing, 5/32" ID, 9/32" OD, 1/16" Wall". This is sold in units of five feet, at a price of USD 0.33 per foot (GBP 0.23, EUR 0.38). A length of ten feet would cut up into more than 60 pieces each 50mm long (protruding about 2mm beyond the tip of the blade on the Starrett screwdriver), which should be a good supply for one screwdriver. I cut both ends squarely and smoothly (this can be done with a knife, or with a small cutter manufactured for the purpose, McMaster-Carr part number 8288A51, USD 6.03, GBP 4.25, EUR 6.85.). See above for details of how to order from McMaster-Carr. Just to save other people some time, I can record another material that did NOT seem to work--at least the way I used it. As I explored various acoustical materials, I was interested by "sound barrier" material--this is a sheet plastic material, made with heavy minerals incorporated into it so that it is (a) very heavy, about one pound per square foot, and (b) limp, so as not to transmit vibration. It is thin (about 1/10" thick) despite being so heavy. Netwell sells it under the name "dB-Bloc" and there are many other suppliers. I had the idea, evidently mistaken, that this material when attached to parts of a concertina would "damp" vibrations and reduce the sound. I bought a fair amount of this material, and experimented with making baffles out of it (patterned after the leather ones), both one and two thicknesses, securely fastened to the fretwork with double-sided tape; to my surprise the reduction in sound measured exactly the same as when leather was fitted as described above. I also tried attaching single and multiple layers of dB-Bloc with full-contact double-sided tape to the inside surface of the reed-pan, toward the bellows, supposedly to "damp" the reed-pan; this measured no effect whatsoever. The sound-barrier material is, with its greater mass, more like the thin wood reported in old baffles, and, with its flexibility, somewhat like old cork baffles--so it would seem to unite and "improve upon" the best properties of both wood and cork. The fact that it has exactly the same measured effect as leather leads me to suspect that wood or cork baffles would have no more effect. There was no functional advantage to the dB-Bloc material, while on the negative side it made the concertina heavier and lacked the beauty of leather. Below is Chris Timson's often-reprinted posting to the squeezebox news group on the topic of how he makes baffles for his instruments. This are the ideas that I started from, and which turned out to be a very sound approach. now present them free to the world! buttons to fit through when the instrument is reassembled. especially around the button area for air to get through. cut out the leather with the sharp knife. remove any left over adhesive quite safely). trim a little more leather off the baffle. that you won't be able to. than me might be able to do it quicker.